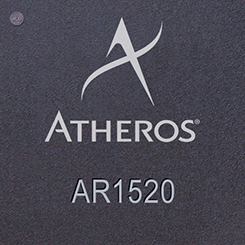 Atheros Communications offers the AR1511, a 44-channel GPS receiver-on-chip solution, consisting of the CMOS AR1511 GPS IC teamed with the ORION v3.0 multi-mode navigation software. 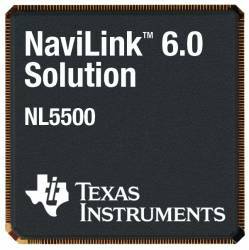 It is comprised of a single-conversion RF front-end and a GPS baseband processor combined on a single die. The L1 RF front-end includes an on-chip low noise amplifier (LNA), and a configurable phase-locked loop (PLL) that supports six (6) TCXO frequencies. Atheros Communications offers the AR1511, a 44-channel GPS receiver-on-chip solution, consisting of the CMOS AR1511 GPS IC teamed with the ORION v3.0 multi-mode navigation software. 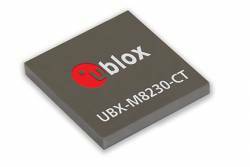 It is comprised of a single-conversion RF front-end and a GPS baseband processor combined on a single die. The L1 RF front-end includes an on-chip low noise amplifier (LNA), and a configurable phase-locked loop (PLL) that supports six (6) TCXO frequencies. Based on an optimized 16-bit DSP with a compact, embedded real-time operating system (RTOS), the SBAS-capable (WAAS, EGNOS, MSAS) unit features eight independent search engines for simultaneous search and 12 tracking channels. The ORION v3.0 is a GPS navigation software package that supports hosted, autonomous, assisted-conventional, and single-fix assisted-GPS (AGPS) modes using advanced acquisition algorithms to find weak GPS signals by utilizing the company’s patent-pending third-generation search engine, enabling parallel searches and advanced tracking loops. For standalone mode, customers can now use Atheros’ new stacked flash packaging, enabling efficient use of board space while minimizing integration efforts. In the host-based configuration, the ORION v3.0 software has been designed to minimize burden on the host processor.